We’d like to think it can, but what does the evidence show?A working definition of mindfulness is that it attentively and non-judgmentally focuses on present experiences. But does this actually affect anything in the brain? To find out, Jacqueline Lutz, from the psychiatry department at the University Hospital of Zurich, led a study investigating whether mindfulness could affect the brain during emotional arousal. Lutz and her colleagues recruited 49 subjects with no prior or existing neurological or psychiatric illnesses and randomly assigned them to either the mindfulness group or the control group, which received no mindfulness instruction. Researchers hypothesized that mindfulness would be associated with increased activation in areas of the brain that govern the regulation of emotion when people anticipated or viewed negative pictures. They also wanted to know whether mindfulness is associated with decreased activation in regions known to be associated with emotional arousal, such as the amygdala and insula. During fMRI scanning, subjects in both the control and the mindfulness group were shown cues that indicated whether the picture that followed would be positive, negative, neutral, or unknown (meaning there was a 50/50 chance it could be positive or negative). Because mindfulness strategies are often meant to address unpleasant emotional events, the mindfulness group was instructed to apply aspects of mindfulness (for instance, non-judgmental awareness of thoughts, emotions, or bodily sensations) during only the unpleasant and unknown trials. So what did the fMRI scans show? The mindfulness group demonstrated decreased activation in the amygdala and other regions involved in processing emotion when they were shown the negative pictures. They also showed increased activity in the structures associated with emotion regulation when anticipating negative pictures. This study suggests that even a short and simple mindfulness intervention has the potential to help regulate emotion. One thing to note about this study, though, was that participants in the mindfulness group had different levels of prior meditation experience. So, the different levels of meditation experience could have also had an effect on their neural activity and not just the mindfulness intervention itself. Meditation experience was not measured in the control group. The Lutz study originally appeared in a 2013 issue of the Social Cognitive and Affective Neuroscience Journal. Have you ever used mindfulness to help patients regulate their emotions? Please share your experience in the comments below. CLients are so happy with the background knowledge. They have the feeling they can correct themselves more easily with structural results! All of this may be true in regulating emotions, but not so for everyone. 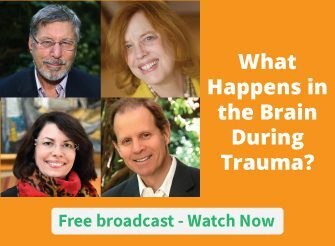 If one suffers from extreme trauma and disassociation as a means to cope, then mindfulness practices may not bring calm, but may trigger more confusion and/or anxiety particularly when a person has trouble being in their body. As a Buddhist practitioner immersed in study and practice since 1976 I can personally attest to this. My son is near death and I feel grateful that I meditate every day. I try to use mindfulness more because I am very upset. He is my only son and age 59. He is accepting of “what is” . Thanks you for the article. I need all the encouragement I can get. A friend of mine had a sever anxiety after she had a situation with her family. She contacted me when I was busy with my schedule. She narrated some of the ‘story’ and said her heart is thumping really fast and her hands are shaking. I asked her to take long deep breaths with me, once she was a little calmer, I asked her to bring in the memory of our recent visit to seaside where she was happy and calm. This helped her to calm down completely. We did further only 5 minute of staying with that calmness and she said she felt as if a big weight has come off her shoulders, her hands had stopped shaking and she manage to pick up the phone in her hand. Prior to that phone was on a table as she did not have any grip in hands. yes for affect regulation with modest success. convincing the patient is to practice regularly is at times a difficult task. I start 90 % of my individual client sessions with mindfulness practice (mostly but not entirely Jon Kabat Zinn and Ron Siegel based) . When the client has PTSD, I’m careful as to how deep the practice goes in the beginning and i start very simply and safely. Whenever appropriate, i introduce trauma psych ed before beginning a mindfulness practice. I’ve done 2 and 4 weeks intensives with families, with great results. I’ve done mindfulness based art therapy girl’s groups at the highschool and I started an ongoing mindfulness practice at the highschool for grades 7-10 and with grades 4-6 at the elementary school. Teachers are slowly coming on board. I always introduce loving kindness after the first couple weeks of sessions and i combine Stephen Harrod Buehner’s exercise of focusing on the heart (breathing in and out through the heart) during practice. Can you say more on implementing mindfulness in the classroom? What is your protocol? I HAVE USED MEDITATION IN MY DAILY LIFE FOR YEARS, IN MY WORK AS AN ACTOR AND DANCER, AS A TEACHER TO HELP STUDENTS DEAL WITH STRONG EMOTIONS. I HAVE ALSO TAUGHT MEDITATION OVER MANY YEARS. MEDITATION IN ONE FORM OR ANOTHER HAS ALWAYS PROVEN ITSELF USEFUL AND BENEFICIAL. OVER TIME, I HAVE NOTICED THAT MEDITATING IS A FAIRLY NORMAL STATE OF MIND FOR ME. MEDITATING FORMALLY NOW SIMPLY INCREASES THE MEDITATION DEPTH I AM IN. I have been practicing as a PhD psychotherapist for 40 years now, and I could not practice another day without mindfulness as a mainstay! I use in in every session. But we all use the term mindfulness coming from different traditions, and even if we accept Zinn-Kabat’s definition, there is too little focus on bringing mindfulness into the body and emotions as a somatic reality too. That is why I have developed the “Flash Awake” (www.flashawke.com) which I define as “embodied mindfulness in one minute.” And the one minute is important too, because we know from Rick Hanson’s work that if we “marinate” in the mindfulness experience for more than 30 seconds, it begins to overcome the brain’s “negativity bias”, and to re-wire it for Well-Being. Thank you for giving us the details of this experiment in this way – turning it into a “story” we can share with others! Much more useful than just hearing “mindfulness enhances emotional regulation”. For Jewish and Christian clients, the Psalms can be a great illustration of the use of mindfulness, both as inviting acute awareness of one’s own inner processes (and turmoil) as well as inviting reflection on realities beyond the self and current experience. In primary care I teach a three minute guided breath meditation and/or hand out a CD with brief audio guided breath and bodyscan meditations for clients with self reported ‘anxiety’, ‘worry’, ‘racing thoughts’ (not the manic variety) or anger issues. I don’t collect any further data about their usage of the techniques or their symptomatic improvement. If it sticks, it sticks. In regular pain groups I include a guided breath or bodyscan in each meeting, and distribute the audio CD for home use. I do follow up there and a small minority of clients volunteer that the techniques are helpful. Thank you Bruni, could you share this audio cd online? i think many would benefit a lot. Mindfulness is a mainstay of my psychotherapy practice — I can’t imagine getting results without it! It is the best thing for emotional regulation. (I am also a certified mindfulness meditation instructor). I highly recommend a new book available for pre-order and arriving April 19, called “Emotional Rescue”, by Dzogchen Ponlop. Although he is a highly respected Buddhist teacher and scholar, the book is written from a purely non-Buddhist perspective. I am reading it in galley form as a PDF, as I am helping to create a curriculum for group workshops based on the lessons in the book. I regularly use mindfulness with my clients, and encourage them to continue formal and formal practice on their own. Those that do, report feeling clamber, better able to be present and able to regulate emotions that previous they found challenging. I often get feedback: this really works!! ….si, es una herramienta implícita en mi manera de intervenir. Frecuentemente las personas llegan a las sesiones con el sistema nervioso muy alterado…y lo nombro como una manera de poder comenzar a crear conciencia en lo que pasa cuando la energía dentro de sus cuerpos comienza a activarse sin control..y a partir de ese momento podemos proveer recursos para nivelar el nivel de energía…para poder trabajar recuerdos, situaciones de vida, etc. Pero es indispensable primero calmar el sistema nervioso y eso podemos hacerlo acompañando a nuestros pacientes a estar en sus cuerpos, en sus sensaciones y a saber que el descontrol interno pueden controlarlo. Como se dice ‘Mindfulness’ en Español o Catalá? My experience has been that individuals appreciate it when they are given an opportunity to use forms of meditation in a therapy situation. Of course the issue of past trauma becomes evident in the sensitization process in that the heightened sense of hypervigilence becomes evident when the person seems physically incapable of relaxing the body, closing the eyes, or breathing rhythmically. Developing emotional safety is key to the person being able to engage in meditation. I find that the idea of mindfulness, to become aware of ones surroundings and inner life is equally as frightening for the trauma victim as they are anticipating something hurtful without really understanding what it could be. The mindfulness of DBT has many grounding exercising that help the person transition to a meditative experience as it does prescribe the person to be alert and aware and to recognize what is happening which can also help the person recognize what IS NOT happening (no traumatic event). Excellent comment! And,yes, grounding exercises to lay a stronger foundation will increase benefits of mindfulness. I concur with Russell. Incorrect citations decrease the usefulness of your blog. Otherwise, nice article. Thank you for bringing this to our attention, Tad and Russell. We always appreciate our readers’ feedback, and have taken steps to update the blog post accordingly. I work with kids mostly, generally ages 7-14. I use mindfulness frequently, usually in small ways such as suggestions, especially when trying to help clients regulate their emotions. I also use it when trying to help them with impulse control, learning to make healthy decisions, and working toward realizing their dreams. In other words, in possibly all spheres of my work! Even if the kids don’t quite understand what I’m getting at, or can’t focus on it, mindfulness exercises almost always make some kind of difference. Good stuff! Great article. Yes, I have taught mindfulness for many many years and have found in as little as three weeks of practicing mindful attention, that clients indeed self regulate fast and more effectively, recover from an upset state of mind quicker, and are able to replace negative or reactive anger with more logical and rational responses.